"It's worse than we thought." "Yeah, I think we've established that." Warner Bros has debuted yet another official trailer, the third one yet, for the disaster movie Geostorm, set sometime in the near future about a series of satellites that control the weather. They get weaponized and put all of humanity at risk when the weather gets out of control. This trailer is all about selling the destruction and epic scope of this movie, so get ready. Gerard Butler stars, with an oddly impressive cast including Jim Sturgess, Abbie Cornish (and why is she in this?! ), Alexandra Maria Lara, Daniel Wu, with Oscar nominees Ed Harris and Andy Garcia. 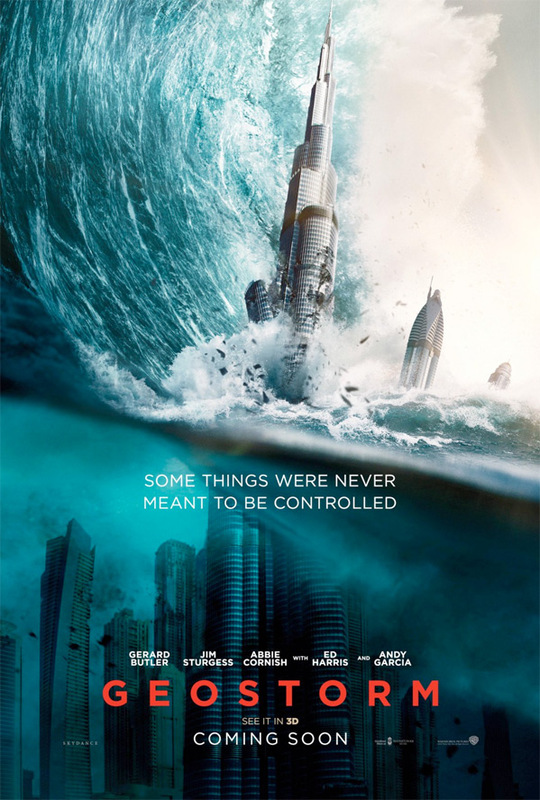 In all honesty, I used to enjoy these kind of epic disaster movies, but I'm just not feeling this anymore. Perhaps it's the time we're going through, perhaps this just looks terribly cheesy and forgettable. You can still watch the first official trailer for Geostorm here, or the second trailer here for more.